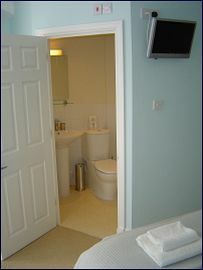 "[Aquarium Guest House is an] attractive property ... with appealing en-suite rooms. Furniture and fittings are of very good quality. with cleanliness remaining a keynote throughout, all looks pristine" AA Inspection Report. 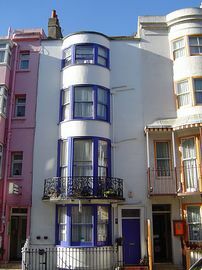 Aquarium is a contemporary and stylish Guest House located in fashionable 'Kemp Town' of Brighton, close to seafront and city centre. 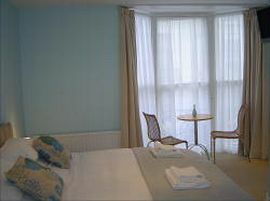 It's Wi-fi enabled and offers fully en-suite facilities with 6ft wide beds and oblique sea views from some bedrooms. There are flatscreen tvs with digital freeview and complimentary tea and coffee. Breakfast served in our attractively appointed dining room. Special Diets Provision: Special diets are catered for. Vegetarians welcome. From the main A23 road into Brighton follow the signs all the way to the seafront until you reach the roundabout in front of the Palace Pier. Turn left towards the direction of the Marina and Madeira Place is 5 streets up on the left. 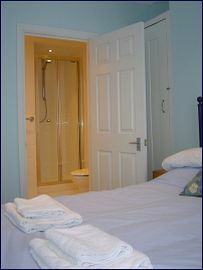 Low Season (Oct-March) - Double Rooms £55-£80 per night. 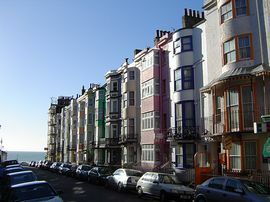 High Season (April-September) - Double Rooms £62-£90 per night.